Major version of the table schema (1 for v1.0 and v1.1; 2 for v2.0 or later). Minor version of the table schema (0 for all versions). 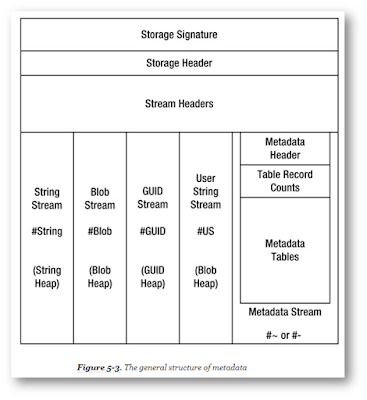 .• A #- stream can also have special flags set: flag 0x20, indicating that the stream contains only changes made during an edit-and-continue session, and flag 0x80, indicating that the metadata might contain items marked as deleted. Bit width of the maximal record index to all tables of the metadata; calculated at run time (during the metadata stream initialization). Bit vector of present tables, each bit representing one table (1 if present). Bit vector of sorted tables, each bit representing a respective table (1 if sorted). It is all nice and fixed, so it will be easy to get started so let's dig right into the metadata stream header for the metadata...what? 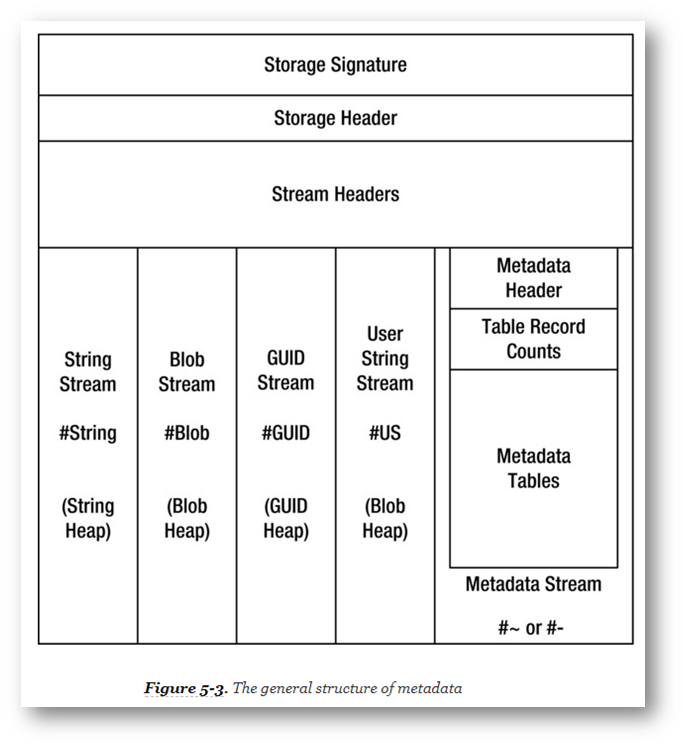 How about the metadata metadata stream header? All this naming stuff is hard. But there is a catch. The bits in the MaskValid represent tables, and this is followed by a bunch of 4 byte unsigned integers for each '1' representing the number of records in the table. I will work on that part next, this is good enough for now.